The old story of Chinese New Year always ends with how brave villagers defeated a beast. On the Saturday 2 February, we will celebrate the Year of Pig with a special Hog in the Box and a BBQ party at the AA. The event is organised by the AA Chinese Alumni group and requires a contribution of £25 to cover the costs involved. Your contribution grants you access and includes food and one free drink. There will also be a cash bar available. This first-ever Chinese New Year event at the AA is part of the Four-City Dinner Party Series 2019 for AA Chinese Alumni to come together and reconnect. The event is open to all (students/alumni/members/public wishing to connect) but booking is essential. Make your contribution and book your ticket using the form below. Image: Made up of two ancient inscriptions of the Chinese character Jia, the word for home and family. 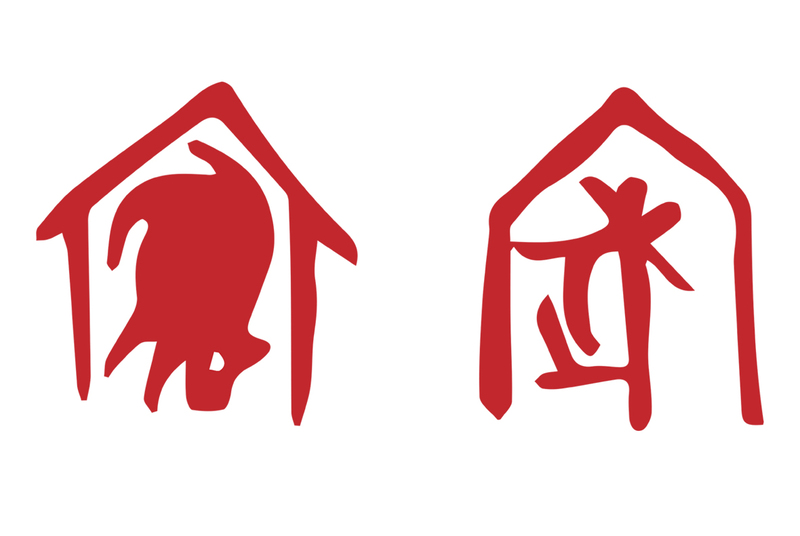 The ideogram is a pig under a roof, a perfect concept to represent the meanings of Hog in the Box, Year of Pig and Home. Posted on February 2, 2019 February 2, 2019 by membership	Bookmark the permalink.